Click Book Cover to read! 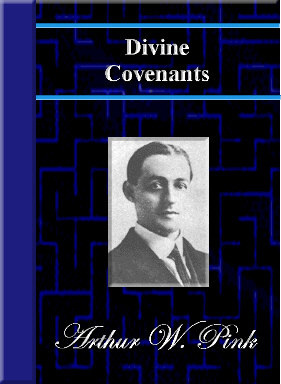 Throughout history God has made covenant with His chosen people. These covenants can give us a Biblical framework for understanding the administration of God’s dealings with mankind throughout history. We discover in Scripture nine major covenants unveiling the purposes of God in both creation and redemption. Made after the entrance of sin, with Adam and Eve. It involves God’s judgement of sin and the promise of a Saviour. Genesis 3. Made with Noah after the flood. It re-established God’s purposes for the entire human race throughout all generations. Genesis 6-9. This covenant laid out to God’s nation Israel the conditions for entering into and possessing the land promised to their father, Abraham. Deuteronomy 27-33. Made in eternity before time began in the counsels of the Godhead, it comprises God entire plan of creation and redemption and is foundational to all other covenants. When we perceive God’s Sovereign hand at work in the pages of history, it causes our hearts to trust Him ever more closely and fully for His active involvement in our generation.